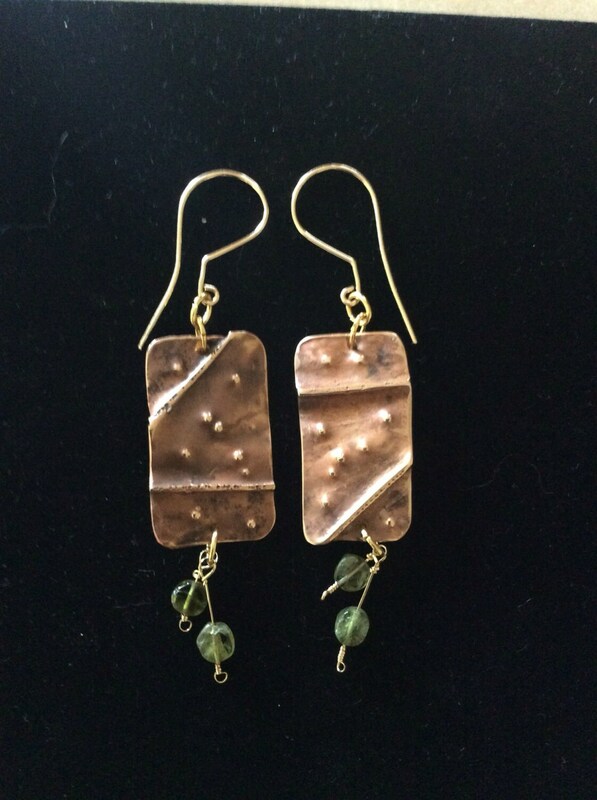 These bohemian style earrings have a definite organic feel to them! Cut from bronze sheet metal, the edges are filed smooth, and the process of fold forming takes place! Using an oxy-propane torch, the metal is annealed or softened. 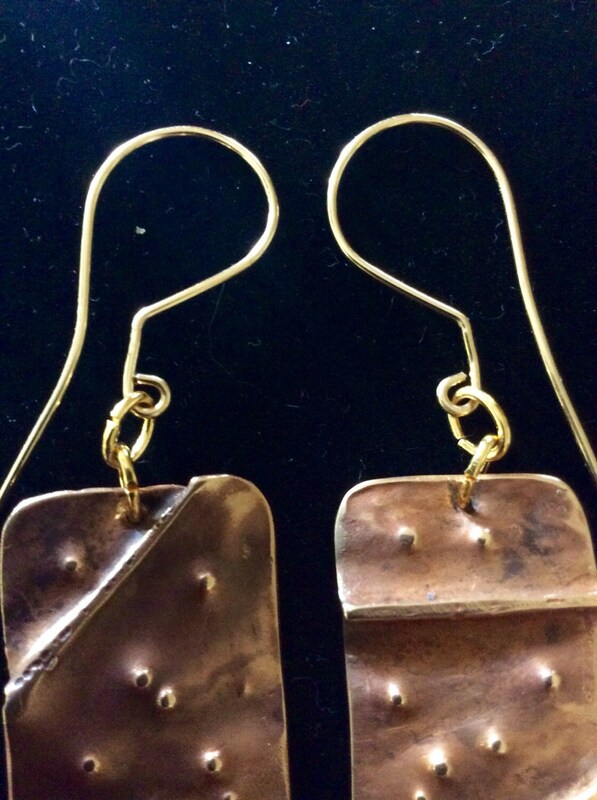 Bronze has an extremely hard temper making it challenging to work with! Appropriate holes are drilled. The metal is taken to the anvil where random hammered folds are done. The end result is a beautifully textured surface! Fourteen karat gold filled wire is formed into ear wires by hand; therefore you may see some variation between the two ear wires. 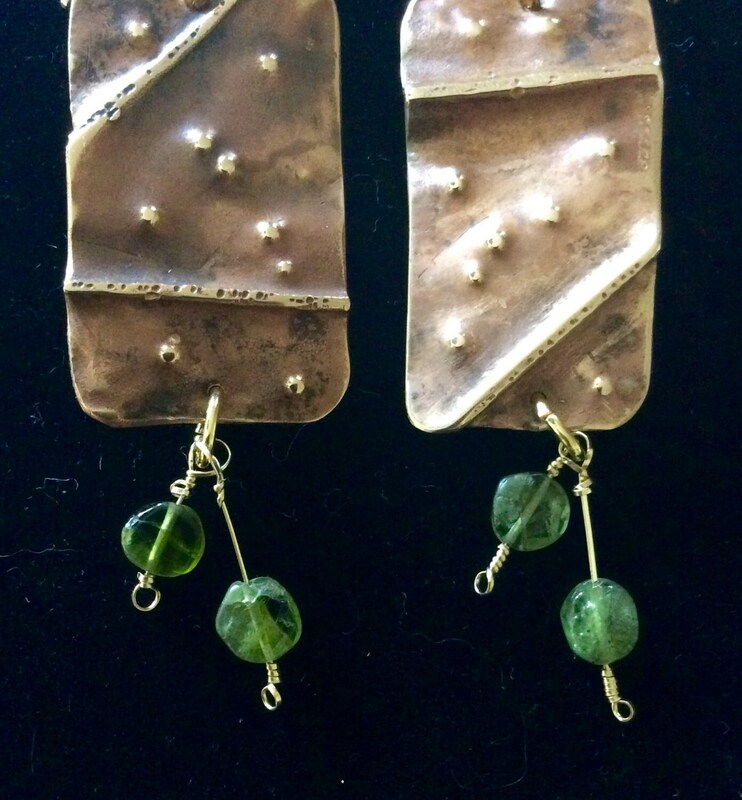 Lastly, 14K wire is used to dangle two sets of peridot stones, once again adding to the earthy organic feel of this set. 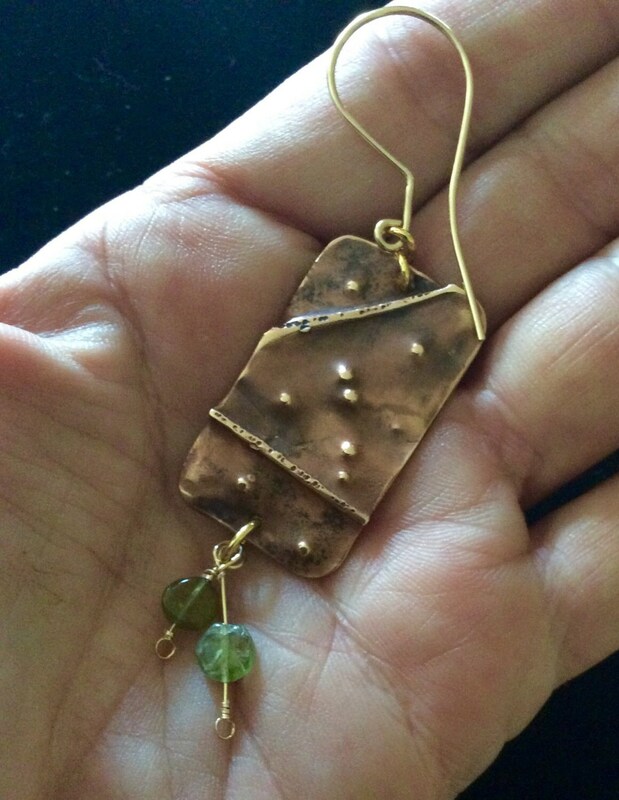 Shipping is free and each piece is placed in a gift box suitable for giving or for yourself. If you would prefer your jewelry shipped to another address, let me know. I'd be glad to add a personalized note to your package.